For many families, checkout aisles at grocery stores are uncomfortable and unsafe because of the provocative and explicit material on magazines and tabloids. In the early 90’s, the American Family Association asked 1 million households to boycott Kmart for the same reason. 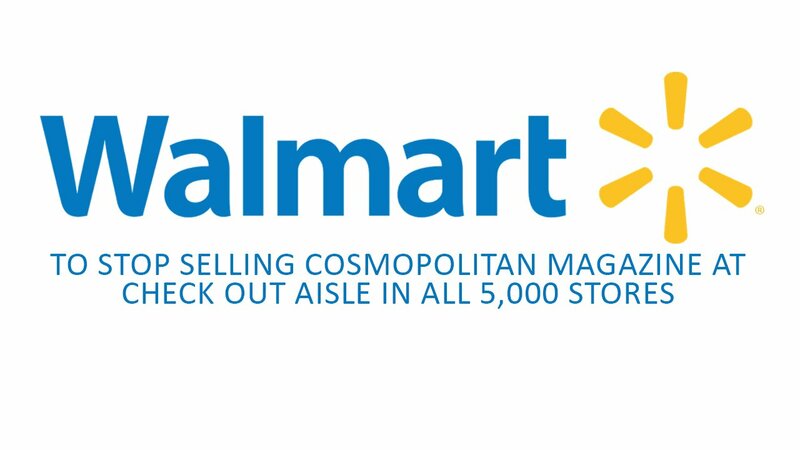 Walmart’s decision to stop selling Cosmo at 5,000 stores is surely a step in the right direction. Originally created as a family magazine in 1886, Cosmopolitan became a women’s magazine in the mid 1960’s when Helen Gurley Brown took over. Brown, a feminist, changed the magazines content to be more sexually overt, which has morphed into the pornographic magazine it now is. Movieguide® applauds Walmart for this decision and The National Center on Sexual Exploitation for their hard work to protect families from sexual exploitation.